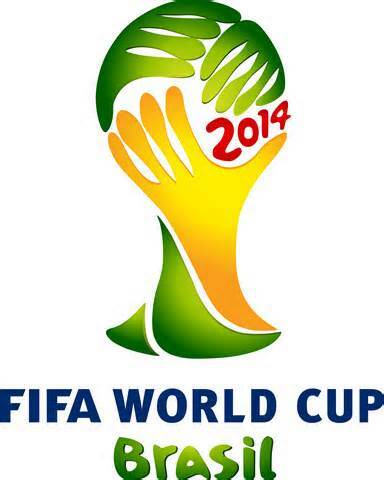 So the Football World Cup is in full swing to many people’s delight and others inward groans, mine included. Even with England apparently out people are still interested in it. So why do I hate football then? I don’t use that word lightly either. I mean it with a passion. With an almost vehemence-like attitude waiting to let loose sometimes but usually I’m okay about it as long as no-one talks to me about it or there isn’t anything negative in the news concerning it either as their tends to be on a weekly basis. I don’t spit anger as much as I used to for I just block it out now’ like water off a ducks back but sometimes it does grate me. One of my problems is when you head to the pub and it’s on the television in there and the atmosphere is very uncomfortable to be in. I usually walk out, something I never do in a pub as many will tell you. It’s an unwritten rule with me. Once you’re in you stay for one at least. Okay, back to the beginning and where it all began for me before this turns into a soapbox style rant. When I was a kid I used to love football. I played with friends and watched it on the television like everyone else, following my favourite team Liverpool. I even had various memorabilia that I had collected for my favourite team. I also liked Watford because they were close to where I grew up. I even used to watch local teams at weekends and would enjoy it but this was soon to change within a few short years. I was eleven years old and had just started secondary school. 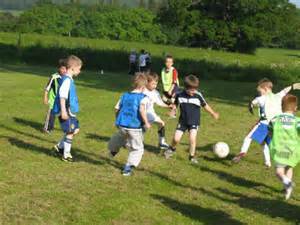 There were tow main sports sadly that you had to play, Football or Rugby. I tried the latter but being a skinny kid and scared of my own shadow at times, Rugby wasn’t my favourite to play so I opted for Football knowing it would be easy. Indeed, I was okay at it but sadly being a skinny kid whose roar was like a mouse at the time’ I was never picked for a team first off. A couple of others and I were left until last and reluctantly picked then. This was to be the first time I would find out how elitist and bullish this sport could be. Even when on the pitch playing, the ball was rarely passed to me but I do remember a couple of times when it was and I not only scored a goal much to their amazement but managed more than one! My sports teacher was as shocked as the rest of the other kids probably because he judged me like they did, by my size and demeanour. It was a lesson for us all that day and they changed their attitude slightly from then on; but not by much though. The same thing happened in Basketball; picked last, never had the ball near me until a player had no choice and then BAM! I score! Another follows close on. The same kids and the same sports teacher could not believe it. After both these incidences I was picked somewhere in the middle and not last but this was not to continue and they would revert to their old ways. From that day on I grew to hate Football with a passion and it grew over the years. You see the one thing I have always been good at is my aim. I have always had a good eye. Archery, Tennis and Snooker would have all been good sports for me, and the more I think about it now, all three of these sports require you to think and either have fast reactions or a steady hand. Maybe even clay pigeon shooting would have been good for me but kids with guns is never a good idea, nor are adults for that matter either! As the years passed I stopped watching Football and gave away my memorabilia to others more appreciative of it. I lost myself in creativity instead even though I never did much with it until the past few years really. You could say it was a knock-on effect from those school days caused by Football. I hate it when people start talking to me about it as though they assume I am a fan of the sport. They usually just ramble on about who played where and what happened as though they were there themselves or were the managers even. I’m like a rabbit in the headlights; trapped with no way out of the oncoming verbal death. Then there are the fans who like it just to be accepted by those they are trying to get in with as if it’s the bloody Masons or something? And the amount of women who now like it compared to ten years ago amazes me! I think it attracts those that are insecure at times in their life and need to be a part of something bigger to be accepted by their peers. I find this very sad. There are others though that enjoy is for what it is and that’s fine. Football fans go into this voice like train-spotters; quite different from their normal voices. It gets all nerdy and a little creepy sometimes. They may as well have anoraks and be done with it but I suppose they do with those ridiculously expensive shirts they keep getting ripped off with. The prices of merchandise for a sport that’s meant to be about the people, not the big corporations; from tickets to clothing to even the food and drink at the venue itself. It’s disgusting! I feel sorry for the families who can’t afford to go to something like that on a regular basis and the poor little kids who dream of going too. Even I’m not that heartless when it comes to little kids wanting to go. As long as it keeps them out of trouble. 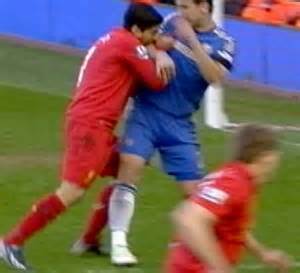 Ah trouble, another thing Football seems to fit with hand in glove. Violence, anger, racism, bigotry and drugs are a few of the things linked to the so-called sport in some way. It has a form of warped patriotism that to me is very dangerous indeed. It always incites anger towards another team or nationality as even players themselves will tell you. The players are always in the news for one thing or another that is negative to the sport, a rare few though who do some positive things for the community; never enough though in my book for all the bad things that come out of the sport. You always hear of match-fixing and corruption and multi-million pound deals. As for the players and the amount they get for a few hours a week, well it makes my blood boil. Some may never go on the pitch that day and still get paid astronomical amounts for just being there! Also, the season never seems to end, only breaking for a few weeks here but it always seems to be on the television! Yes, other sports stars get paid loads; Tennis players especially, but they have to work very hard for it and it takes them a long time to get that kind of money, if they ever do. Some of them play for years and never achieve much financial gain or support. It’s a tough sport in more ways than one. Footballers wouldn’t last much out there on court. It would be too much effort for too little pay for them. It’s always Footballers you hear of in the news, rarely other sportsmen or women, although it does happen of course. Tiger Woods is a good example as are a few Snooker players; but never on the same level as Footballers. As for the sport itself, I now find it boring, lacking in intelligence (although some would have it as an intelligent sport) and frankly overrated. As for it being Britain’s national sport (or is that England? ), well from what I can tell through some research, the sport isn’t even from here at all! It supposedly originated in China where they used their enemies heads as balls and had about four goals. It looks very difficult and I cannot imagine today’s Footballers playing this style today as it would be too difficult for them also. It grew in style over the centuries until it reached France where the game became pretty much as we know it today. It obviously crossed the channel and we changed it again, claiming it as ours. Most sports have a history elsewhere when you look at them. Baseball it seems may have originated here in England (maybe from Cricket), whilst American Football is obviously Rugby with armour and loads of padding. Hurling (Ireland), Shinty (Scotland and Lacrosse all are similar in style and play and all very rough and fast; Hurling apparently the fastest field sport in the world! So that’s why I hate Football and why I won’t be watching the awful World Cup held in Brazil where so many people are very poor and in need of help and yet the world’s biggest and richest sport is holding its biggest tournament there. I only hope they will help out with charity events and donations for they can afford it. Football was meant to be a sport for the poor to play and enjoy. It wasn’t expensive and it brought communities together but now it sadly has an opposite effect to all of this. It’s for people who have money and breeds money. It’s like some seedy and dangerous cult that brainwashes people to believe in it and give them their last few pounds. Over the past few days there has been two sides to football; one about Luis Suarez taking a chunk out of another player and getting a slapped wrist for it pretty much and the other is about a some Irish cyclists who did a charity bike ride from Ireland to Liverpool for the Hillsborough fund only to have their bikes, wallets and passports stolen at the end of their journey. I really despair at humanity sometimes and what it’s capable of. Leave me with Tennis or pretty much most of the sports mentioned but not Football. It’s a sport I’m ashamed to be indirectly linked to through being a Briton.